Successful Woman: Chrystal S. Martin, Esq. 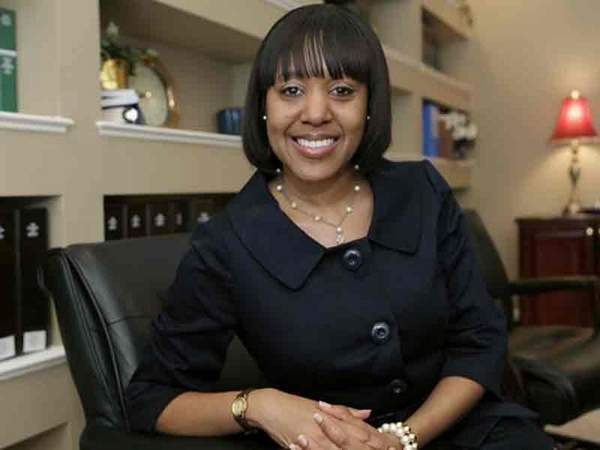 Chrystal S. Martin is an attorney at the Saunders Law Group. She is the 10th Judicial Circuit Representative of the Florida State Bar Board of Governors’ Young Lawyer’s Division. She is the first black woman to ever hold this post. She attended Duke University for her undergraduate studies where she majored in Economics. She also attended the Florida State College of Law to obtain her law degree and the University of Oxford for a Summer Abroad Program. She did not struggle with academics; however, she did feel overwhelmed at times. She took many courses that involved the financial aspect of Economics, which was quite challenging, yet intriguing. She would not consider herself to have been “just” an Economics student, as she was involved with many extracurricular activities. She was a youth volunteer, very involved member of Delta Sigma Theta Sorority, Inc., and Campus Council Treasurer–handling an approximate $500,000.00 budget. However, juggling all of these activities and her academic studies helped her to be a well-rounded person and student. We interviewed Chrystal about her success and here are her answers. She tells us how she realized her childhood dream of becoming an attorney. Knowing the alternative–Failure! My mother is my inspiration and she always instilled in me the importance of education. She would remind me that I may go through a lot of ups and downs, struggles, trials and tribulations, but the one thing that no one could take from me is my education and knowledge. As an educator, my mother knew it all (in my eyes that is) and she still does. It makes me proud knowing that she is instilling these same values in hundreds of young minds still to this day. Since I was five years old, I knew that I was going to become an attorney. The summer after my freshman year at Duke, I picked up the phone book and contacted several law firms to see if they needed any summer help (paid or unpaid) with anything–filing, sweeping, shredding paper–literally anything. I ultimately accepted a paid position with a prestigious law firm in my hometown working as an assistant to a paralegal. I was able to have a first-hand look at the legal atmosphere from a paralegal’s viewpoint and also from an attorney’s viewpoint. I shadowed the attorney and was able to ask a multitude of questions and even assist with some trial preparation (regardless of how small it may have been–putting the trial notebook together, organizing critical documents, etc.). This summer job actually helped me to get a job as a law clerk with another firm while I was in law school and ultimately the firm I clerked for offered me a position as an attorney upon completing law school. After one year of working at my first law firm, I was unfortunately laid off due to the firm closing its doors. Through the grace of God, I was able to have income coming in during the two weeks I was without a job. I was offered a position at my current firm and have been there for the past four years. The interesting story behind that is the attorney and President of my firm was an attorney who I had a case against while I was working at my first law firm. During my interview process, my “now” boss commented on my professionalism and the way in which I handled myself in and out of the courtroom. This meant and still means a lot to me. Professionalism and your ability to carry yourself in a respectable manner can open many doors for you when you least expect it. In law school, it was very trying because it required a lot of time, patience and understanding. The way that I approached my studies while in undergraduate school definitely had to be refined and revised. I was required to cut out many of my extracurricular activities in order to meet the demands of law school. However, I was involved with the Black Law Students Association and the Business Law Review as an Executive Editor. I handle setbacks in various ways–just depends on what the setback is at the moment. I handle setbacks in my job by re-analyzing the situation and then approaching it from a different angle. There is always more than one way to solve a problem. Sometimes it requires you to think “outside the box” and regroup. I would say that is what I did when I had to quickly find a new job after practicing for a year. It was a scary and difficult time, but there was no time to sit back and cry about it, I had to find a new job—and fast! 4. How do you balance work life and family? Do your work demands affect your relationships? Being a young lawyer, I do put a lot of time in now so that when I am older and have a family, I will not have to put in as much hours. I find it difficult at times to have a good balance with work and family, but I find creative ways to work it out. For example, during my 45 minute drive to and from work, I talk to my mom and catch up with my friends that live out of town. I attend church in the city where my mom lives, so that gives me the opportunity to see my family and hang out almost every weekend when I am in town. As far as relationships—my working hours has affected relationships. Again, you have to be very creative and have a level of understanding of each other’s work requirements in order to make it work. Somehow it all works itself out. I enjoy the fact that I am able to help people through difficult times in their lives (divorces, personal injury). My clients are each very important to me and with every new client, I feel that I am gaining a new family member. They each have a story to tell and look to me to help find a solution that is fair to every person involved with the situation. 6. Where do you see yourself in the next five to ten years? I see myself either being a partner at the firm where I am now or owning my own law firm. 7. Any advice or words of encouragement you’d like to give to shalenadiva.com readers? Chrystal, you are the ISH! I love and admire you so much, my sister. I was so proud of you while I was reading your story. You are the bomb!